Domestic dogs are group living animals. The domestic dog has evolved from wolves more than 10,000 years ago. The best model for studying the domestic dog is the domestic dog, not wolves. The domestic dog is NO LONGER considered a pack animals, and there are MAKRED DIFFERENCES in their social systems that have inevitably lead to significant differences in social behaviours. 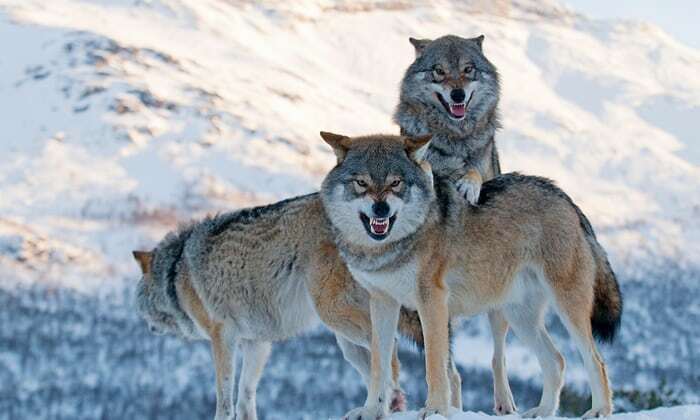 In a pack setting (wolves) hierarchy is fluid, always changing depending on what value is placed on a certain object or resource. Conflict may occur when there is limited access to a valuable resource, such as food, preferred resting spots or a mate. In the family home, the domestic dog has a far less rigid hierarchy and reliance on dominance-submissive interactions. The dominance-submissive model is completely irrelevant to so many animal behaviours! A dog that consistently performs an undesirable behaviour is not trying to gain a higher rank or show you he is boss. Undesirable behaviours are not motivated by the desire to become more dominant in the relationship. Most undesirable behaviours in our pets are not related to priority access to resources, rather, they are due to accidental rewarding of undesirable behaviours. Dogs don’t jump up on you because they want to dominate you. They jump up because they want your attention, and continue to do so because they are rewarded for doing so with your attention. Dog’s don’t growl at people because they want to dominate them, they growl because they want you to increase your distance because they are feeling uncomfortable about the situation or because you are a threat to something that is really important to them. In summary, the “dominance theory” is not a good model for understanding or modifying behaviours in our pet. The simple truth is that the dominance submission training model is completely irrelevant for behaviour problems in our pet. It is important to know that dog whispering methods such as those endorsed by Caesar Milan rely on these out-dated, incorrect and potentially dangerous dominance methods. Punishment is often the first approach in dog training and for modifying undesirable behaviours in our pets, however there are many adverse effects of punishment, but also HUGE difficulties in administering punishment effectively. By definition punishment means a consequence that decreases the likelihood of a behaviour being repeated again in the future. Positive Punishment which can also be referred to as a “correction” means doing something (positive equates to adding something, as opposed to taking something away); such as verbal reprimands, yelling, tapping the dog on the nose with a newspaper, tightly holding the muzzle shut, citronella barking collars, alpha rolls or dominance downs, use of prong collars, tugging on the lead/collars/harness/chocker chain, use of a shock collar, use of spray bottles or ultrasonic sound and or physical punishment. Many animals learn to associate punishment with the owner, and not the undesirable behaviour. Punishment fails to address the fact that the bad behaviour is occurring has somehow been reinforced. Punishment FAILS to teach more appropriate behaviours. Owners often feel punishment is effective because they see their pet offering appeasement behaviours (avoiding eye contact, rolling over, offering a paw, retreating from owner, lowered head/ears/body posture etc.). Owners make incorrect assumptions that these body languages are that of guilt, rather these body language exhibited are due to the anticipation and attempted avoidance of punishment. These findings have been backed up by science; extensive research demonstrates that our pet dogs are not experiencing guilt, and that dog owners are often misinterpreting their pet’s body langue. In one experiment, the guilty look did not correlate to whether a dog had in fact misbehaved. Moreover, in this study it was shown owner scolding behaviour caused an increase in a guilty appearance, and the rate of guilty appearances in dogs was significantly higher for dogs where scolding took place when the dog was greeted. A better model to utilise is clear leadership without force which utilises the principles of consistency and predictability, whereby there are consistent rewards for desirable behaviours and removal of rewards for undesirable behaviours (ie. you are not providing any reinforcement, such as attention). A leadership model strengthens the animal-human bond. To do this we should utilise scientifically proven and highly efficacious Positive Reinforcement Methods, which is a rewards based training method to teach dogs desirable behaviours. In this method, we give the dog something it wants to make the behaviour more likely to be repeated again. This is the most humane and effective training method, as it avoids undesirable behavioural side effects. It also makes training a much more enjoyable experience and helps improve the bond with the pet. Importantly - seek help if you and your pet need it from an experienced positive reinforcement trainer, and or speak to your veterinarian who can point you in the right direction.